Plies is a hip-hop artist, rapper and founder of Big Gates Records. This influential artist has released five studio albums studded with high-profile collaborations including T-Pain, Akon, DJ Khaled, Rick Ross, Ne-Yo, Jamie Foxx and Ludacris, earning a reputation as one of the genre’s most respected figures. Plies burst on to America’s rap scene in 2007 with the bombastic debut album ‘The Real Testament’. His debut single ‘Shawty’ featuring T-Pain topped the Billboard Hot Rap Tracks Chart and peaked at No. 9 on the Hot 100, followed closely by second single with Akon ‘Hypnotized’, hitting No. 3 on the Rap chart and 14 on the Hot 100. The album and both of the singles were certified Gold by the RIAA in 2008. Plies’ next album ‘Definition of Real’ was released in June 2008. Lead single ‘Bust It Baby Pt. 2’ featuring Ne-Yo peaked at No. 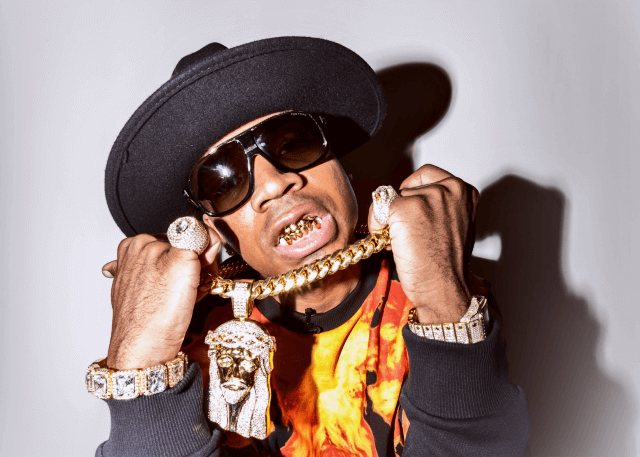 2 on both the Hot Rap Tracks and Hot R&B/Hip-Hop Singles & Tracks charts, with the entire album debuting at the same position on the Billboard 200 and selling over 214,000 copies its first week, giving Plies his second Gold certification. Plies has since gone on to release three more studio albums, several mixtapes and a host of massive singles, including the 2010 Young Jezzy collaboration ‘Lose My Mind’, which earned the rapper a Grammy nomination for Best Rap Performance. Following the release of his latest album ‘Purple Heart’ in 2017, he has been taking his incendiary live show around the world.